Note: We do not do any drilling or custom cutting. 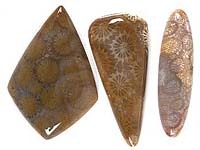 Four pages of petrified coral cabochons now on sale! Lots to choose from. Need beads? We have a great variety of gemstone beads on our turquoisebeads.com website! Looking for pendants? 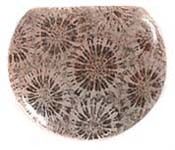 We offer a broad selection of pendants on our designerstones.com website!